Suddenly it seems everyone wants to get on the Mary Magdalene bandwagon. This is good news in the sense that it is getting Mary Magdalene’s name out there and attention is being drawn to the first woman of the Jesus movement. For the first time in two thousand years, we are beginning to grasp the truth that Mary Magdalene was not the repentant whore – but was the first witness to the resurrection. Much of what I have seen beyond that, however is limited in scope and does not even begin to scratch the surface of who Mary Magdalene was and what she represents, not only to Christianity, and not only to women, but for the world. Mary Magdalene wasn’t just the first witness to the resurrection and she wasn’t just Jesus’ wife (as Dan Brown et. al. would have us believe). To understand who Mary Magdalene was and what she represents, we first have to understand Jesus. But to understand Jesus, we first have to take him off the pedestal he was placed on by institutional religion….and then we have to take him off the cross. Jesus was a man. He was a man who was uniquely gifted and called to remember his original nature as One with God (Jesus’ God was so much more than the “Old Man in the Sky God” Christianity has given us). In this intimate connection with God, Jesus came to know his Divinity – what he called “the kingdom of God.” Jesus understood that he was Divine in Human form and in this was able to manifest the fullness of his giftedness which included the gifts of healing, teaching, leading, pastoring, and prophecy. In having attained this level of self-actualization, Jesus was afforded the title of “High Priest in the Order of Melchizedek” (Hebrews 5, 6, 7). Not to be confused with the high priests of Jewish temple worship, this designation placed Jesus in the company of the great mystery schools of the primordial tradition. 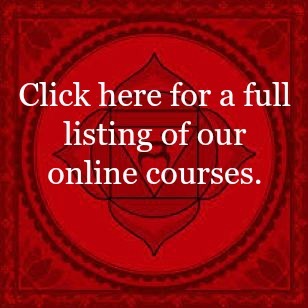 When Jesus had mastered this within himself, he went out to teach others what he knew and how they too could know “the kingdom of God within” and manifest their own unique giftedness in the world. As the only one of Jesus’ disciples said to be “healed of seven demons” (symbolic language for the completion of an initiatory process leading to self-actualization), Mary Magdalene embodied the fulfillment of Jesus’ teachings. Like Jesus, Mary came to understand her Oneness with the Divine and allowed that Divinity to find its fulfillment in her Human form. In this, her own unique gifts were revealed and unleashed, giving her the strength and courage to be with her Beloved through his suffering and death (where the other disciples were not); and to be the first witness to the resurrection. 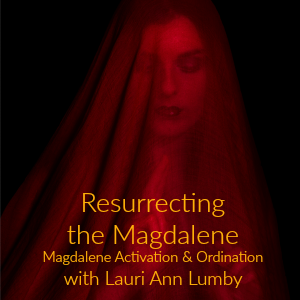 But more important than any of this, in becoming self-actualized (High Priestess in her own right), Mary Magdalene was empowered to go out into the world, leading and teaching others in the truth of Oneness – the same path of salvation that Jesus had taught before her. Mary is much more than Jesus’ wife. In teaching and leading us on the path to salvation, like Jesus, Mary Magdalene is Savior. 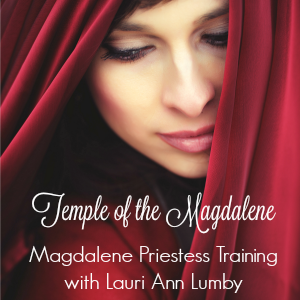 Learn about the Magdalene Priestess Training by clicking on the image here. Previous Did Mary Magdalene Write John’s Gospel?